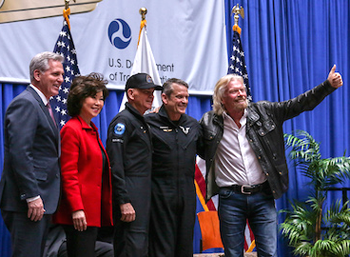 Washington D.C. - February 7, 2019 - It has been a historic day for Virgin Galactic, as our pilots Mark ‘Forger’ Stucky and Frederick ‘CJ’ Sturckow were awarded their Commercial Astronaut Wings by the US Federal Aviation Administration (FAA), in recognition of VSS Unity’s first spaceflight on 13th December last year. The ceremony was held in Washington DC, hosted by the US Department of Transport, with the wings awarded by US Secretary of State for Transport, Elaine Chau. Commercial Astronaut Wings have only been awarded twice before, to SpaceShipOne pilots Mike Melvill and Brian Binnie, and officially recognises Forger as the 568th human in space, and CJ as the first astronaut to hold both FAA and NASA Astronaut Wings. The ceremony also carried additional significance in marking the first crewed spaceflight from American soil since the Space Shuttle’s final mission in 2011, and the first humans to reach space in a vehicle built for commercial passenger service. That’s a lot of ‘firsts’ and your fellow Future Astronauts in the audience rightly and vocally showed their appreciation of that! 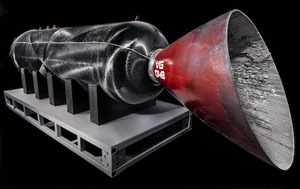 Richard then joined guests at the Smithsonian’s National Air and Space Museum, to announce that the hybrid rocket motor from VSS Unity’s first spaceflight has been donated to the museum. During the ceremony, Richard announced that the motor has been confirmed by Guinness World Records as the ‘most powerful hybrid rocket to be used in manned flight,’ which gives him yet another mention in the record books! We know the museum is a mecca for many of you, and that you share our pride to hear that the motor will be permanently exhibited there, in the new ‘Future of Spaceflight’ gallery. We have all been with us on this long and winding journey, and shared the challenges along the way. Today’s ceremonies grant a moment to savor how far we have come, with our achievements recognised by the US government and the most respected aerospace museum in the world. We have more work to go, and more milestones to achieve, but collectively have contributed to space history. Here’s to Continuing that in 2019!! Galactic Experiences by DePrez is a member of the DePrez Group Of Travel Companies, which is the largest independent travel management firm in central and western NY. Founded in 1929, the group provides extensive and diverse travel services, including cruise sales by Just Cruises, Inc. a top 50 cruise-only agency in N.A., meeting and conventions planning to fortune 100 companies and large associations, corporate travel management, and luxury travel leisure sales through Whitaker & DePrez Travel Partners LLC. Virgin Galactic, owned by Sir Richard Branson’s Virgin Group and Aabar Investments PJS, is on track to be the world’s first commercial spaceline. The new spaceship VSS Unity) and carrier craft (WhiteKnightTwo, VMS Eve) have both been developed for Virgin Galactic by Mojave-based Scaled Composites. Founded by Burt Rutan, Scaled developed SpaceShipOne, which in 2004 claimed the $10m Ansari X Prize as the world’s first privately developed manned spacecraft. Virgin Galactic’s new vehicles share much of the same basic design, but are being built to carry six customers, or the equivalent scientific research payload, on sub-orbital space flights, allowing an out-of-the-seat, zero-gravity experience and offering astounding views of the planet from the black sky of space for tourist astronauts and a unique microgravity platform for researchers. 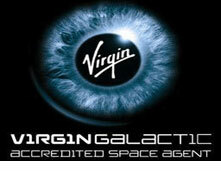 The Virgin Galactic commercial operations, are based at Spaceport America in New Mexico. Galactic Experiences By DePrez, DePrez Travel Bureau, Inc. Copyright (c) 2018 Galactic Experiences By DePrez. All rights reserved.